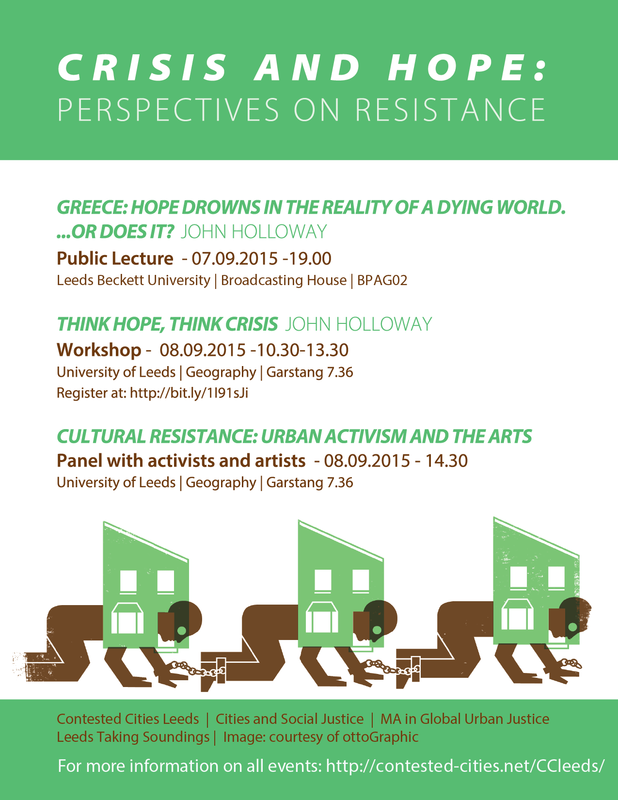 The following day, on 8th September John Holloway will be running a workshop titled: Think Hope, Think Crisis from 10.30-13.30.Following this there will be a Roundtable session from 14.30 with artists and activists focused on cultural resistance, urban activism and the arts. Both events take place in the School of Geography at the University of Leeds. Contested Cities Leeds, Cities and Social Justice Research Cluster, Masters in Global Urban Justice and Leeds Taking Soundings are organising a series of events over the 7th and 8th of September in Leeds.